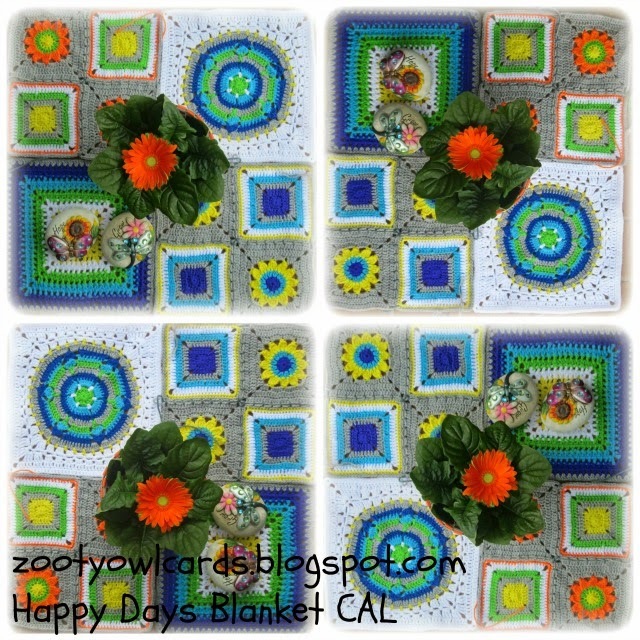 Welcome to Part 5 of our Happy Days Blanket Crochet Along! It is not too late to join in the fun! 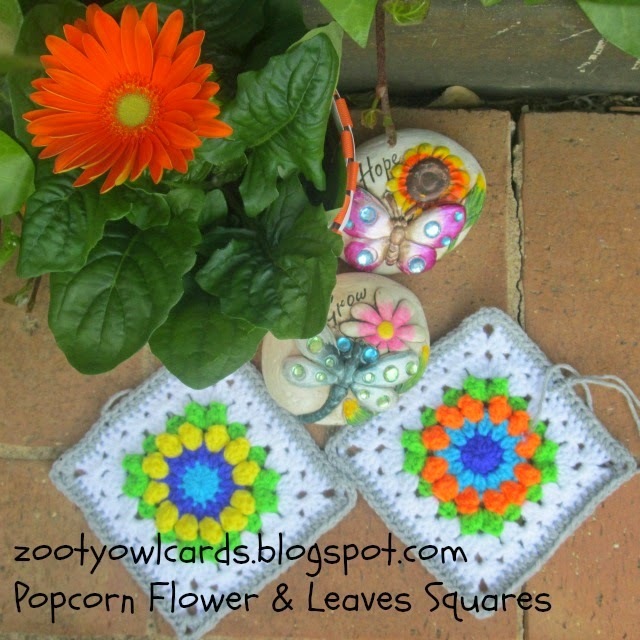 The patterns will remain on my blog - so you can crochet along at your own pace. 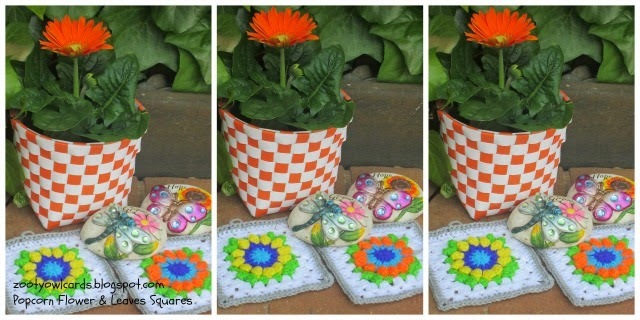 The pattern for the next square will be posted on Friday, 19 September 2014. Please post the photos of your progress on my Zooty Owl Facebook page so that I can share them with my next post! I'm behind, but am so inspired by everyone's photos of THEIR squares I am soldiering on! I'm getting the pattern for each square safely saved on my tablet. Its my first CAL! Man, does that mean I need to wait on my first mandala now? If I'm to catch up, guess I'd better. Glad that I found your blog! 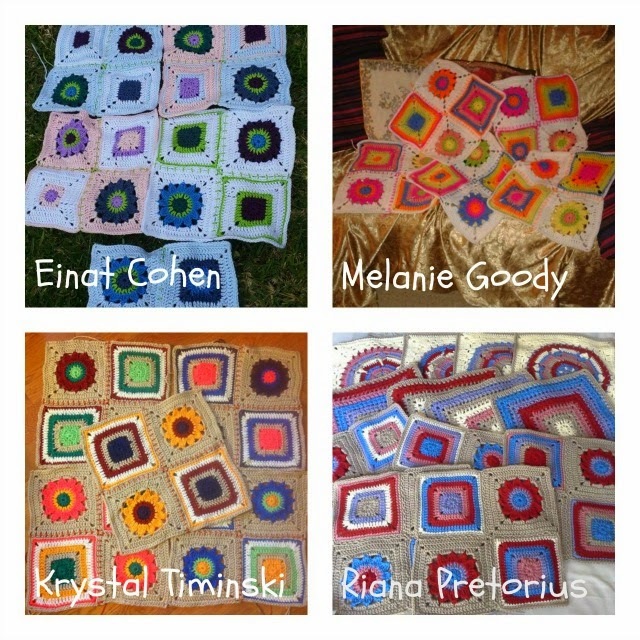 I forgot to check the year on these pattern posts.... Oh, I hope this project is happening now, in 2014! This is a 2014 project Maschelle! 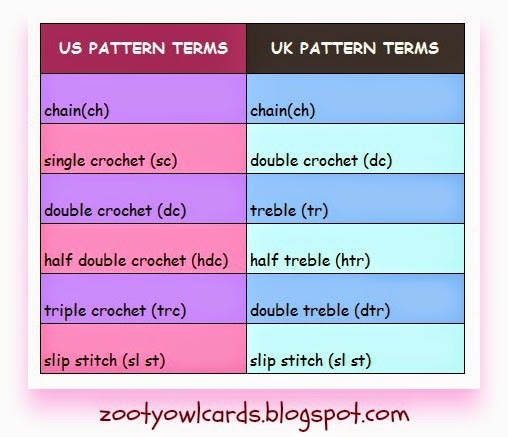 I will be leaving the patterns on my blog so you can crochet this one at your leisure!